Majerus' appointment comes as SGL plans to triple carbon fiber output in the U.S. with major shareholder BMW. 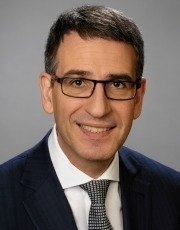 FRANKFURT -- Carbon fiber manufacturer SGL Carbon has named Michael Majerus as its new chief financial officer. His three-year term starts July 1. Majerus will replace Jeurgen Muth, who will step down on June 30. The supplier did not say why Muth was leaving the job after six years, saying only that it was by "mutual agreement." "With Dr. Majerus we are gaining a chief financial officer with extensive experience in the financial and industrial markets. He will actively use his expertise for the re-positioning of SGL Group," Susanne Klatten, chairwoman of SGL's supervisory board, said in a statement. The announcement comes as the company, based in Wiesbaden, Germany, is expanding its operations due to increased demand for carbon fiber from its second-largest shareholder BMW Group. The automaker, which holds an 18.4 percent stake overall in the SGL Group, uses the material to build the i3 electric car and the i8 plug-in hybrid supercar. Last month, Automotive News Europe reported that BMW’s joint venture with SGL will spend $200 million to triple the capacity of its carbon fiber products plant in the United States. The factory, in Washington, will become the world’s largest producer of carbon fiber, with an annual output of 9,000 tons by 2015 when the expansion is completed. Majerus, 53, began his career in 1989 with the Mannesmann engineering group in Germany, where he held a number of senior finance-related roles. From 2000 to 2006, the German national was finance chief of the memory products division of chip maker Infineon Technologies, a role which he retained in addition to labor director, when the division became an independent unit incorporated into Infineon as Qimonda. From 2009 until 2013, the executive was head of finance at the pharmaceutical wholesaler Phoenix, in Germany.